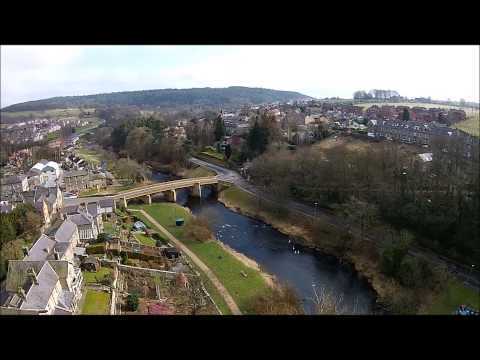 Rothbury is a traditional market town which straddles the River Coquet. 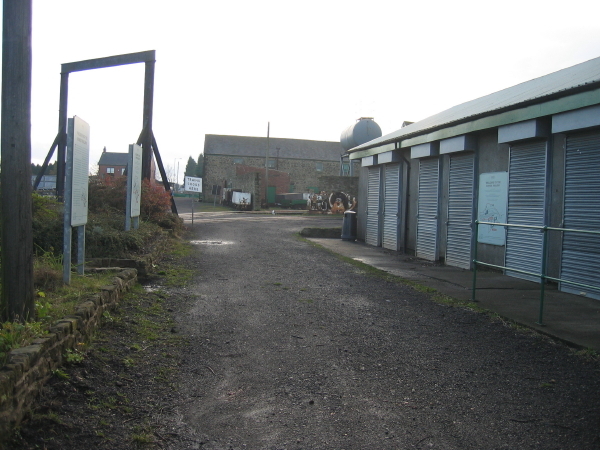 It is located in central Northumberland just over 13 miles noth west of Morpeth. 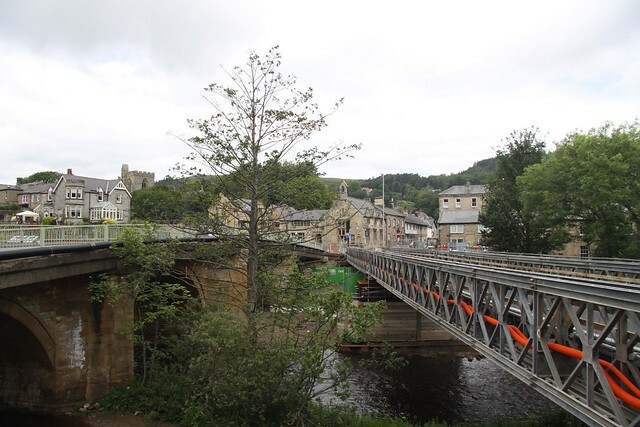 Rothbury is a town and civil parish in Northumberland, England. 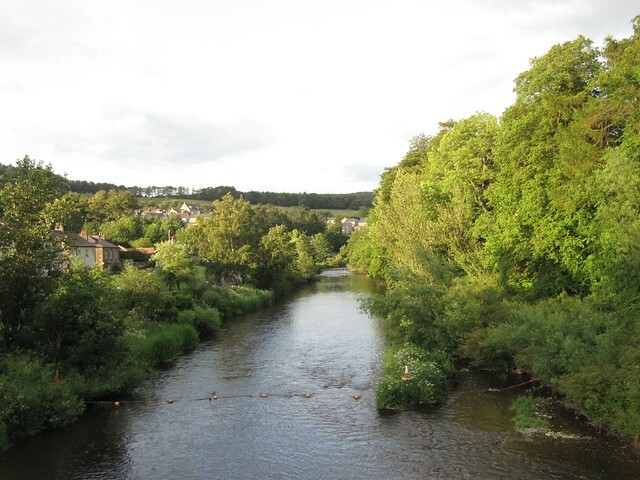 It is located on the River Coquet, northwest of Morpeth and north-northwest of Newcastle upon Tyne. 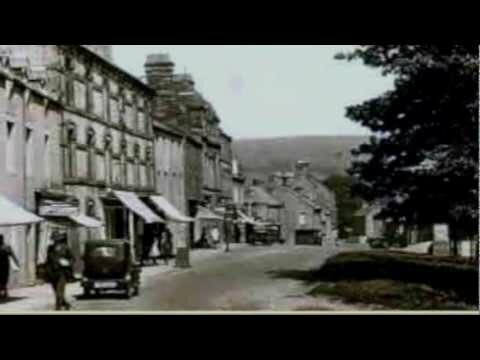 At the time of the United Kingdom Census 2001, Rothbury had a population of 1,740, increasing to 2,107 at the 2011 Census. Today, the town is used as a staging point for recreational walking. 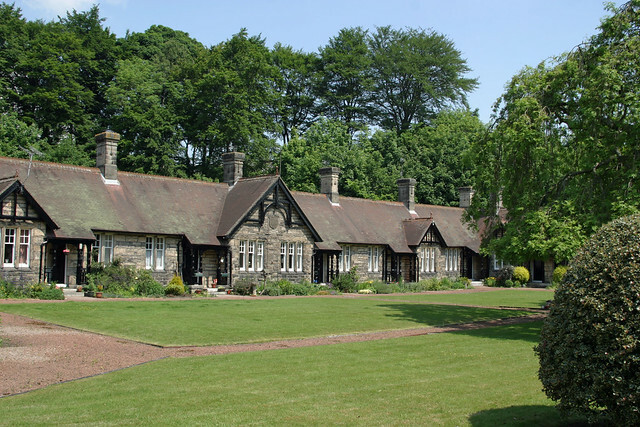 Landmarks in and around Rothbury include the Victorian era mansion Cragside, the Simonside Hills and Northumberland National Park. In July 2010, Rothbury was the centre of a high-profile police manhunt. 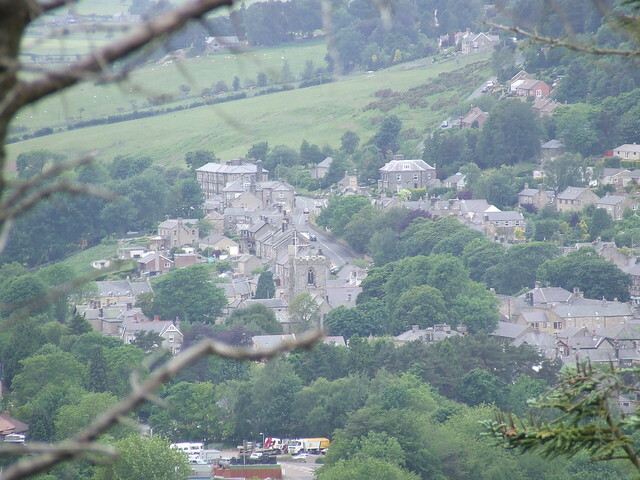 The first mention of Rothbury, according to a local history, was in around the year 1100, as Routhebiria, or "Routha's town" ("Hrotha", according to Beckensall). Fragments from an Anglo-Saxon cross, believed to be 8th century, are the only surviving relics pre-dating the Norman conquest. They are now in the town church and the University of Newcastle Museum. The village was retained as a Crown possession after the conquest, being made over to the Lords of Warkworth in 1204. 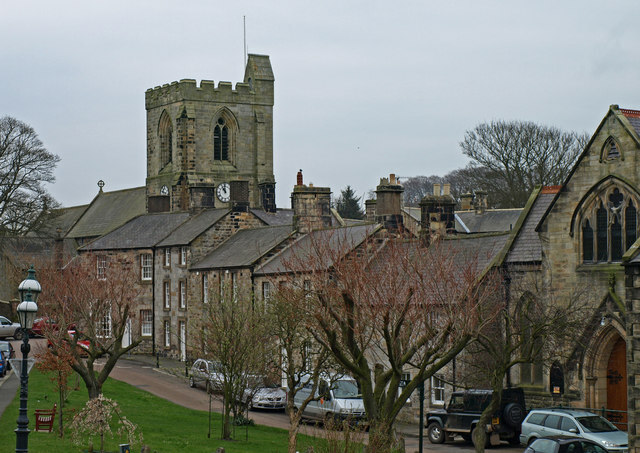 Rothbury was a relatively important village in Coquetdale, being a crossroads situated on a ford of the River Coquet, with turnpike roads leading to Newcastle upon Tyne, Alnwick, Hexham and Morpeth. It was chartered as a market town in 1291, and became a centre for dealing in cattle and wool for the surrounding villages. A market cross was erected in 1722, but demolished in 1827. 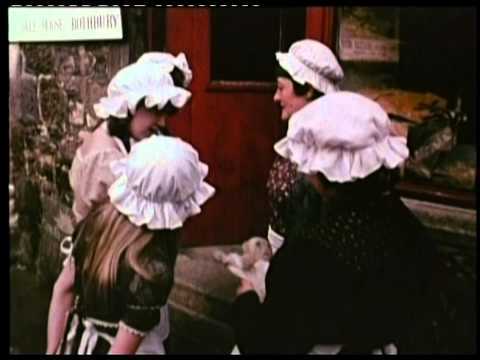 In the 1760s, according to Bishop Pococke, the village also had a small craft industry, including hatters. At that time, the village's vicarage and living was in the gift of the Bishop of Carlisle, and worth £500 per year. Rothbury has had a turbulent and bloody history. 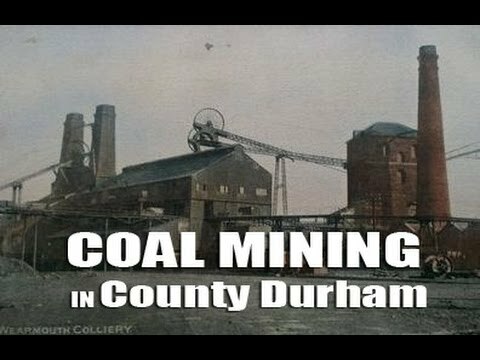 In the 15th and 16th centuries the Coquet Valley was a pillaging ground for bands of Reivers who attacked and burned the town with terrifying frequency. Near the town's All Saints' Parish Church stands the doorway and site of the 17th century Three Half Moons Inn, where the Earl of Derwentwater stayed with his followers in 1715 prior to marching into a heavy defeat at the Battle of Preston. 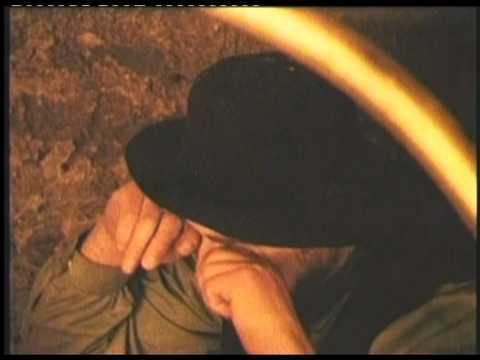 Hill farming has been a mainstay of the local economy for many generations. 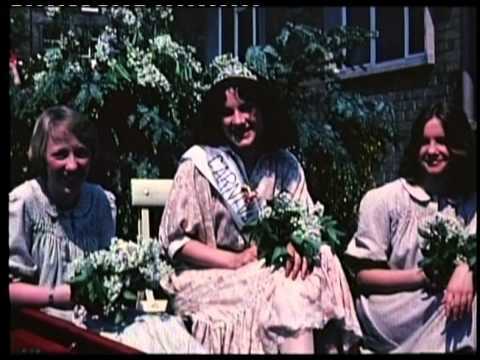 Names such as Armstrong, Charleton and Robson remain well represented in the farming community. Their forebears, members of the reiver 'clans', were in constant conflict with their Scots counterpart. The many fortified farms, known as bastle houses, are reminders of troubled times which lasted until the unification of the kingdoms of England and Scotland in 1603. The industrialist Lord Armstrong (1810–1900) helped shape modern Rothbury. 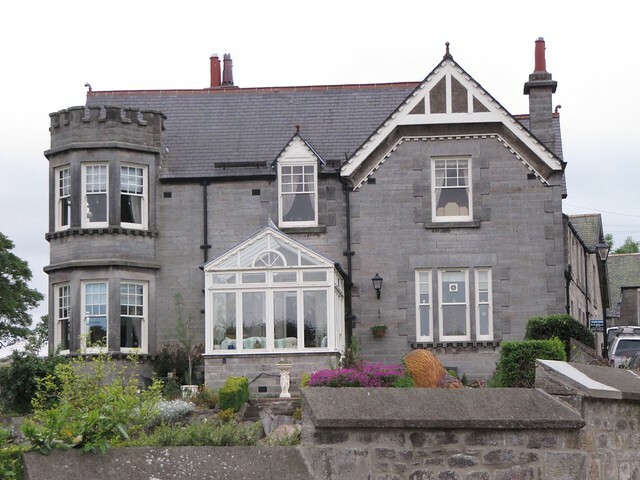 Many local buildings reflect his Victorian style and prosperity. At the same time the planting of more than six million trees and shrubs transformed the surrounding landscape. His magnificent home at Cragside, now in the care of the National Trust, is visited by more than 150,000 people annually. An electoral ward in the same name exists. This ward stretches from the Scottish Borders to Rothley At the 2011 census it had a population of 5,316. 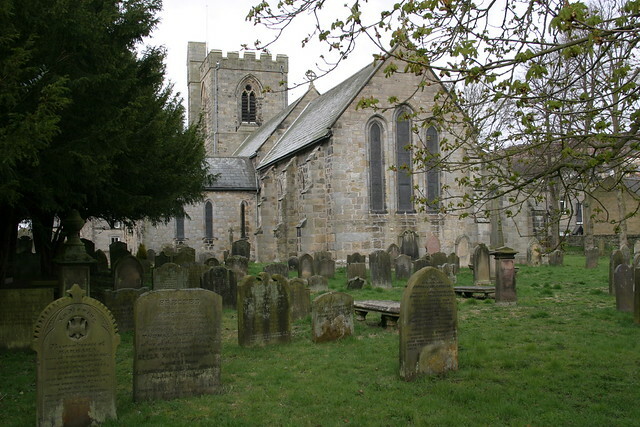 Rothbury's Anglican parish church building – All Saints' Church – dates from circa 1850, largely replacing but in parts incorporating the fabric of a former Saxon edifice, including the chancel, the east wall of the south transept and the chancel arch. The church has a font with a stem or pedestal using a section of the Anglo-Saxon cross shaft, showing what is reputed to be the earliest carved representation in Great Britain of the Ascension of Christ. The Anglo-Saxon cross is not to be confused with the market cross near the church, the current version of which was erected in 1902 and is known as "St Armstrong's Cross" as it was paid for by Lady Armstrong, widow of Lord Armstrong of Cragside. Until 1965, Rothbury was the location of a racecourse, which staged only one meeting per year, in April. Half a mile to the south, Whitton Tower is an exceptionally well-preserved 14th century pele tower. Lordenshaw Hill has the largest concentration of rock carvings in Northumberland. 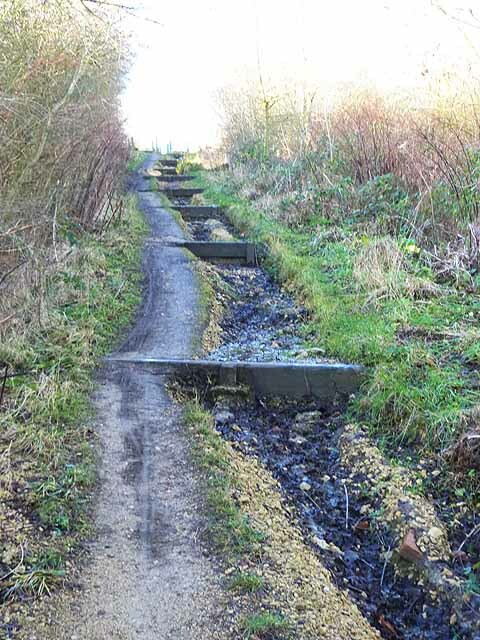 Over 100 panels have been recorded on the hill, the adjacent Whitton Burn and Garleigh Moor, in an area which covers less than 620 acres. The carved panels range from single cup-marked boulders to complex panels. There are many other interesting archaeological sites in this area, including a ditched Iron Age enclosure and an Early Bronze Age cairn. 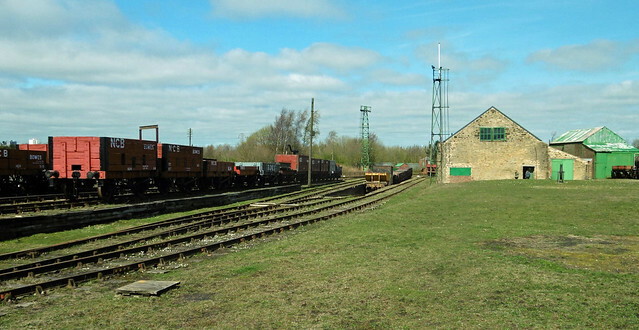 The town was the terminus of a branch line from Scotsgap railway station on the North British Railway line from Morpeth to Reedsmouth. The last passenger trains ran on 15 September 1952 and the line closed completely on 9 November 1963. The site of the former railway station is located to the south of the River Coquet and the old Station Hotel still stands near this site, now known as The Coquetvale Hotel. The town is now served by an Arriva bus service which runs via Longframlington, Longhorsley, Morpeth and continues to Newcastle upon Tyne, the nearest city. A small, local bus company, Spirit Buses, operates a service to Alnwick. Three times a week this service extends up the Coquet Valley to Alwinton. Text from Wikipedia, available under the Creative Commons Attribution-ShareAlike License (accessed: 25/03/2016). 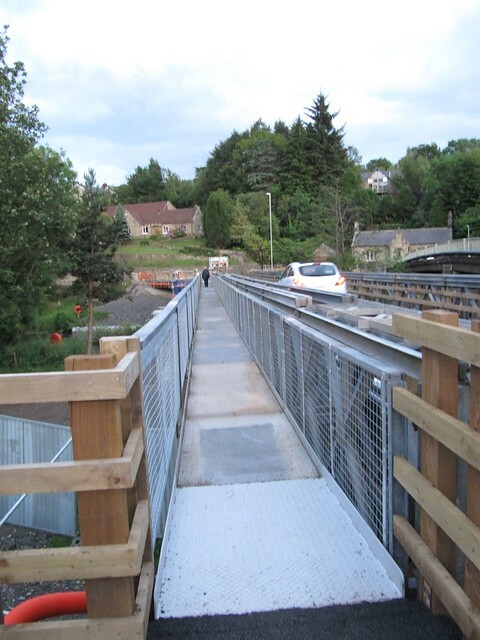 Visit the page: Rothbury for references and further details. You can contribute to this article on Wikipedia. 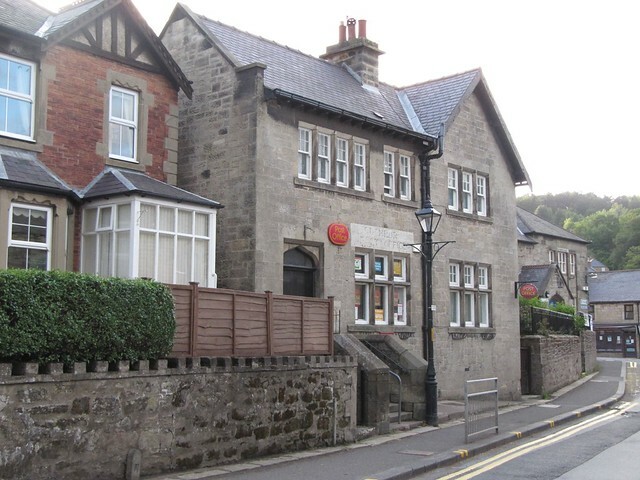 - Local site, includes a short history of Rothbury. 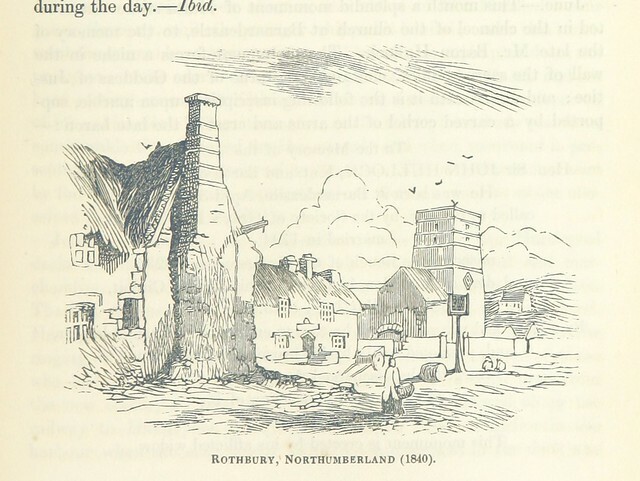 Image taken from page 691 of 'The Local Historian's Table Book of remarkable occurrences, historical facts, traditions, legendary and descriptive ballads, connected with the Counties of Newcastle-upon-Tyne, Northumberland, and Durham. Historical Division. 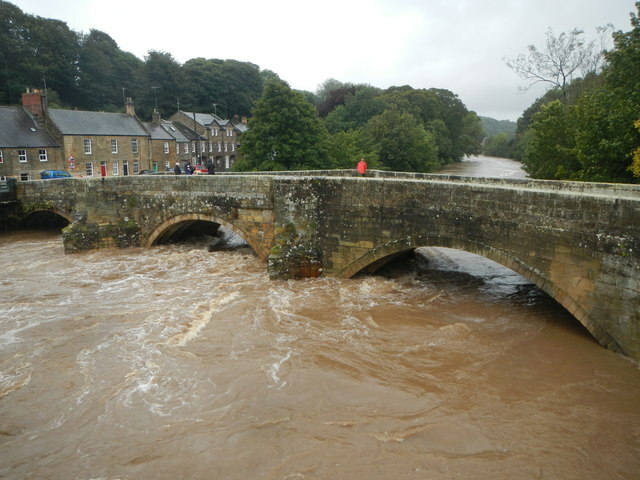 - River level information from the monitoring station at Rothbury.